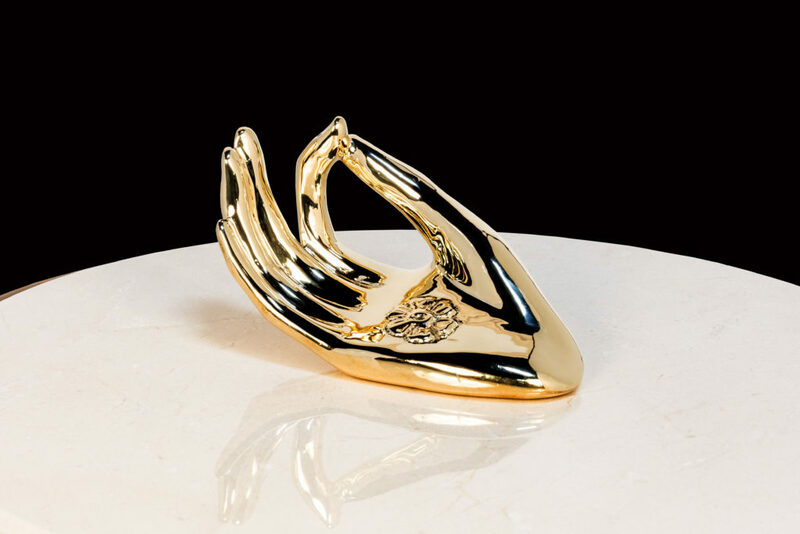 This Buddha hand is one of Gladstone’s signature pieces. Gladstone Industries Corporation, located in the heart of Las Vegas Nevada, has been creating custom works of art for the hotels on the famous Las Vegas strip for decades. 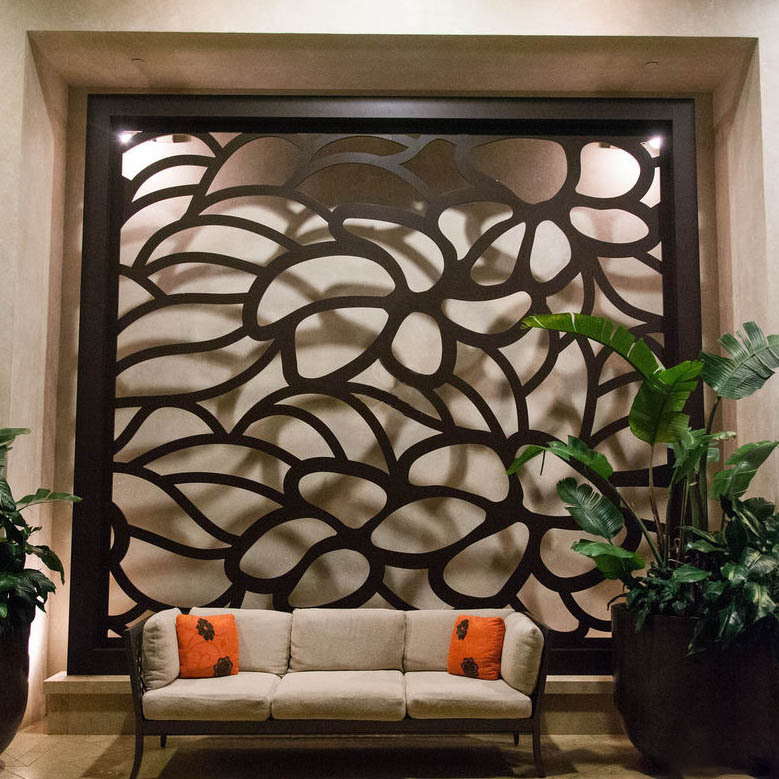 This signature piece of art was created as a bench in a lounge area for a leading Las Vegas Hotel. These astounding 13 ft x 12 ft weather resistant aluminum wall panels were intricately cut on a water jet, followed by very fine decorative welding to create these masterpiece custom wall panels. 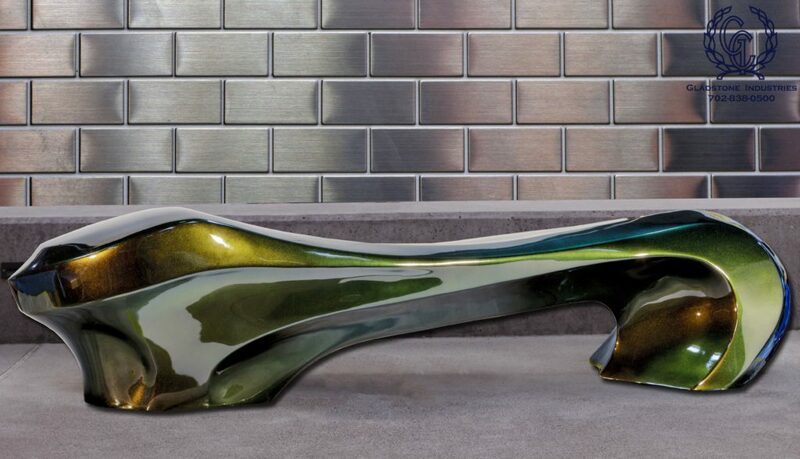 Gladstone has also worked for many high-end residential clients who have used the artists at Gladstone Industries to produce decorative and architectural art pieces which are stunning to behold. Factory tours are available to you during business hours. Call ahead to make an appointment and see all they they can do for you. This entry was posted in Custom Works of Art.